I’m a new homeowner and I am confused about what kind of filter we should have on our furnace/AC unit and how often it really needs to be changed. Can you tell us what we should know about furnace filters to help us know what to do? There seems to be a lot of different kinds and different costs - how do we know which one is best to use? Like many people, you probably don’t think much about your furnace as long as it’s doing its job and keeping you warm in the winter. 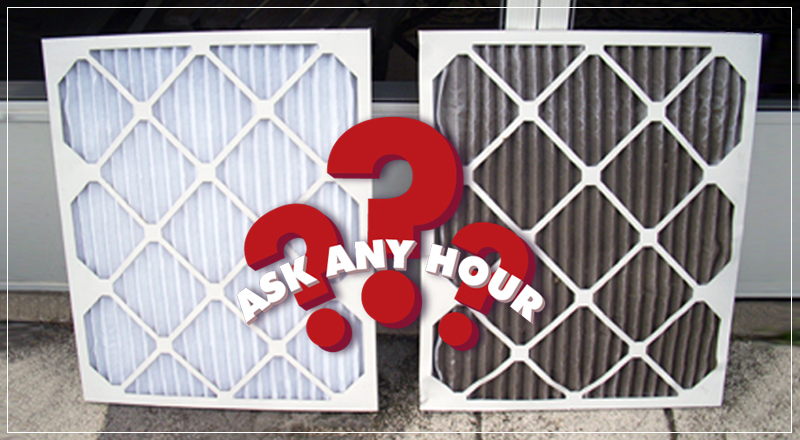 You’ve probably asked yourself questions such as: What does a furnace filter do? Which one should I buy? How do I install it correctly? When should I change it? Well, the first thing to know is that it’s really important to change your furnace filter on a regular basis to help keep it working properly as well as to avoid damage or breakdowns that can occur if it isn’t replaced often it enough. Many people believe that the main job of a furnace filter is to clean the air, but that is not true. 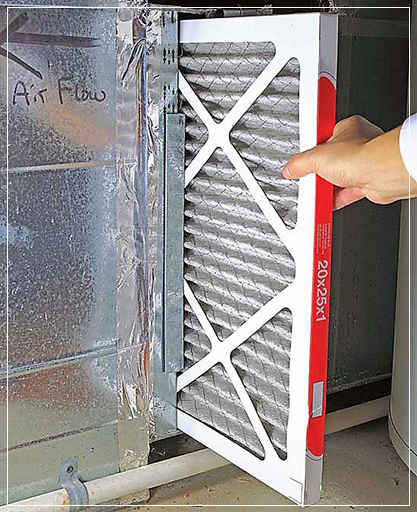 Actually, the primary purpose of a furnace filter is to protect the blower fan from hair, dust and other stuff that the return air ducts pull in. However, through this process, it does improve the quality of the inside air by removing particulates from being recirculated. Not changing your furnace filter when it becomes clogged will result in poorer airflow inside your home which can cause serious damage to your furnace as well, which no one wants to have happen. It’s important to understand MERV ratings when considering which is the best furnace filter to buy. Furnace filters are rated using the minimum efficiency reporting value (MERV) which was created by The American Society of Heating, Refrigerating and Air-Conditioning Engineers (ASHRAE) to allow consumers to compare air filters made by different companies. MERV ratings can range from a low of 1 to a high of 20. The higher the rating, the smaller the size of particles the filter can remove. However, higher rated filters allow less air to flow through and can force your furnace to work harder and possibly malfunction. According to the United States Environmental Protection Agency, air furnace filters with a MERV between 7 and 13 are adequate for most homes as they are pretty effective at controlling most airborne indoor particles. To be on the safe side, check your furnace manual and see if the manufacturer has a maximum MERV rating for your model of furnace to help you in figuring out which furnace filter would be best for you to use on your system. MERV ratings are printed on the side of each filter. The higher the MERV rating, the greater the efficiency in removing contaminants and pollutants. If anyone in your home has allergies, asthma or any other respiratory conditions, pets or if you live in a dusty environment you should aim for a higher MERV rating. Some hardware stores (such as Home Depot or Lowes) use their own rating system. While these ratings are similar to the MERV scale, they do vary. 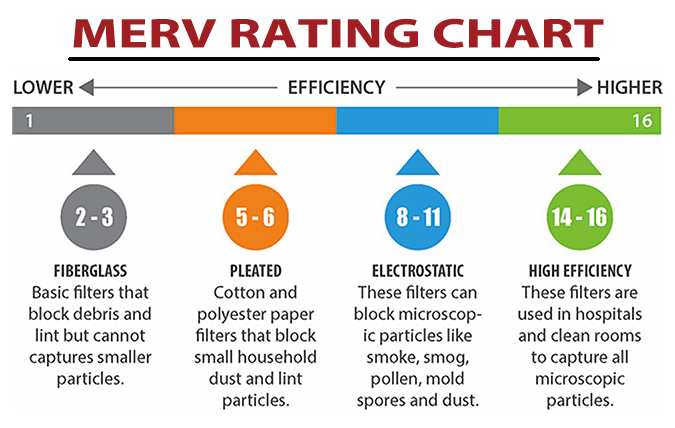 It’s best to confirm what their rating converts to on the MERV scale to ensure you’re using a filter that is safe for your furnace. The most common type of furnace filter is a disposable pleated kind. These come in a range of standard sizes and ratings. Pleated filters are constructed out of paper and polyester and do a good job at filtering most household particles and allergens. 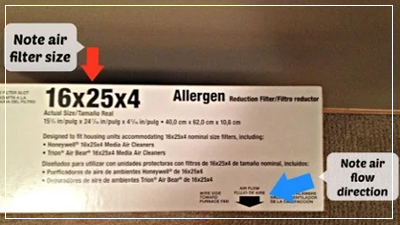 The price of these filters varies from a couple of dollars all the way up to the $30 – $40 range depending on the brand, size, and MERV rating of the filter. Disposable fiberglass filters are the cheapest filter on the market, but really aren’t the best furnace filters. They have an almost spider web appearance and are often blue in color. They come in many standard sizes, but are generally more flimsy and have lower ratings than pleated filters. Permanent reusable filters (also referred to as washable filters) are constructed with either a solid aluminum or plastic frame. These filters can save money because you don’t have to be buying filters to replace. However, they need to be cleaned out as often as you would replace a disposable one (checking it every month is recommended) so that you have the right amount of air-flow and are not putting undue stress on your furnace. The average furnace that has not been maintained has about 10 lbs of dirt in it. That’s why it’s important to have your furnace serviced every year. Maintaining your furnace can add years on to its life expectancy and also takes less energy to run it, saving on your energy bill. First of all, you need to know what size of filter your furnace needs. There are a lot of different sizes and you need to use the one that is the correct size for your furnace. Furnace filters are sized by thickness (depth), height and length. The most common thickness is 1”, with 4” also being a popular choice for larger systems. Height and length combinations range from 10”x10” all the way to 30”x 30”. The most common sizes are 14”x 25”, 16”x 20”, 16”x 25”, 20”x 25”, and 25”x 25”. The easiest way to find out what size you need is to pull out the filter that is currently in your furnace and check it (the size should be written on the frame of the filter) or you can also refer to your furnace manual. The filter must fit snugly in your furnace. It is important to note that you must have an exact fit -“close enough is not good enough” in these circumstances. A good fit prevents air from slipping around the edges of the filter. The simple answer is -- when it gets dirty. The tricky thing is that every person’s system is different. Often, people rely on a random “when it feels right” approach. Until you figure out how long your filter will last before needing to be changed, we recommend by starting by checking it every month. Take it out, hold it up to the light. If you aren’t seeing enough light through it, it needs to be changed. If you can still see light through it, reinstall it and check it the next month. Eventually, you will learn how often you will need to change your furnace filter. Some people need to change theirs every month while others can change it every 4 months. How Do I Install My Furnace Filter Correctly? Every filter has an air-flow direction arrow on it. On your new filter, find the arrow that indicates the proper air flow direction. This tends to confuse everyone more than anything else. That arrow must always face toward the furnace and away from the return duct that carries the air in need of heating or cooling. Pro Tip: It’s a good idea to draw the airflow direction arrow with a permanent marker on the actual furnace housing or ductwork. Ideally, you'd indicate the airflow direction and filter size (16x25x4 Airflow→). Depending on how your filter is placed in your HVAC unit, slide or place the new filter in with the arrow pointing toward the furnace, and you are done. Just remember to check it once a month to see if it needs to be replaced.